C 72096 13 x resin parts & 3 x vac-form clear parts. 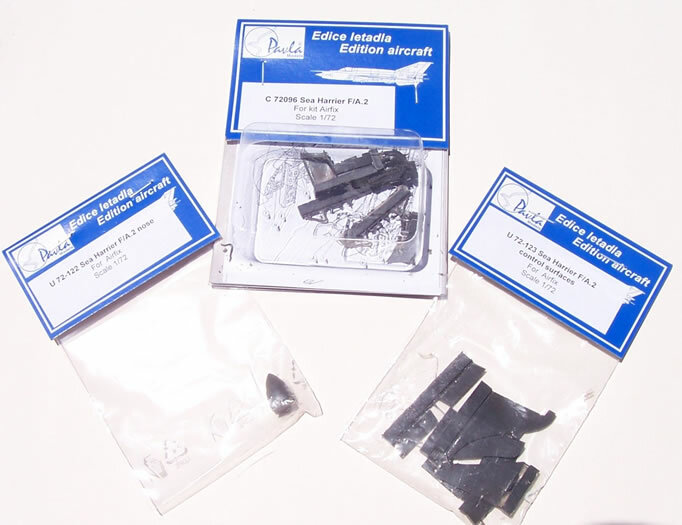 Good quality components to enhance your Airfix Sea Harrier FA.2 model. The Sea Harrier has proven a popular kit subject in 1/72 scale including the last of line in the form of the FA.2 with kits from Airfix, Special Hobby and Xtrakit (the Xtrakit being the Special Hobby kit without the weapons and PE details etc.). 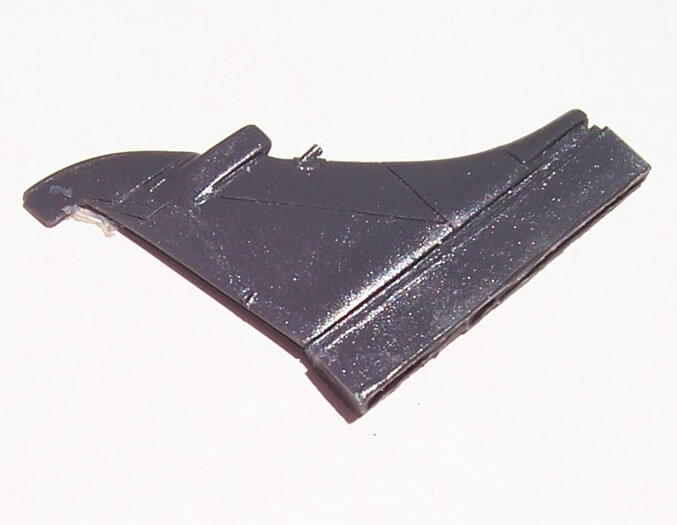 I have briefly seen the new Airfix kit, and I gather from some forums that it has some shape issues, particularly with the nose cone. Pavla have taken the opportunity to address this. They have also provided a control surfaces set, which eases the job of displaying the control surfaces moved from their neutral positions. I don’t know if this set’s inclusion of the horizontal stabilisers is a “bonus”, or if it addresses some accuracy issue. The cockpit set is simply intended as a vast improvement on the kit components. Pavla has adopted a sensible and welcome approach to aircraft accessories by frequently offering different degrees of enhancement for the same kit. These sets each address different aspects of the subject and the modeller’s inclination for accuracy, display state and level of detail. 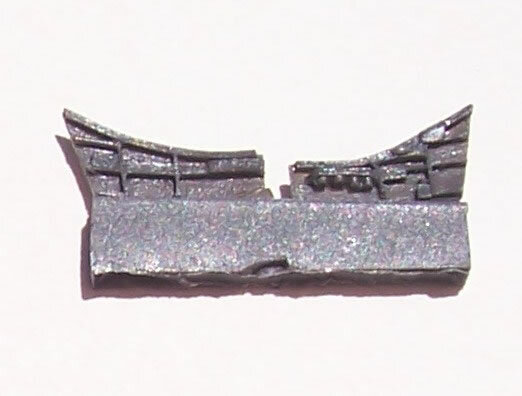 The cockpit set comes in a blister pack with instructions, whereas the other two are bagged on a header card. 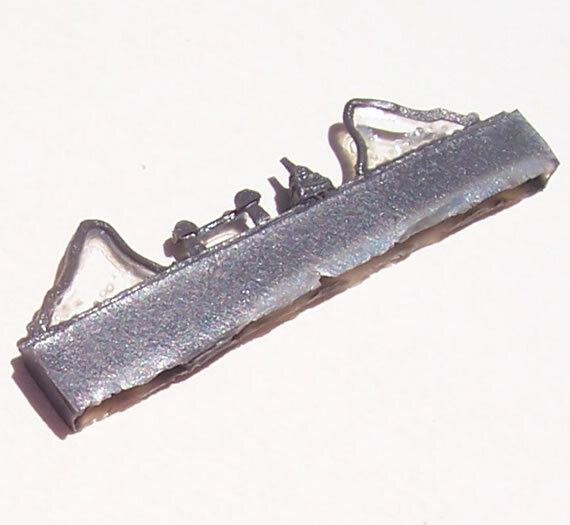 All of the resin is cast to high standards, with some fine detail. I did notice on the flying surfaces set what looked to be a slightly rough finish. I think that this is in part due to tiny sanding scratch-marks on the masters showing because of the dark shiny resin reflecting the bright sunlight I photographed them in. I suspect they probably look far worse than they are, and that all will be fine after painting. 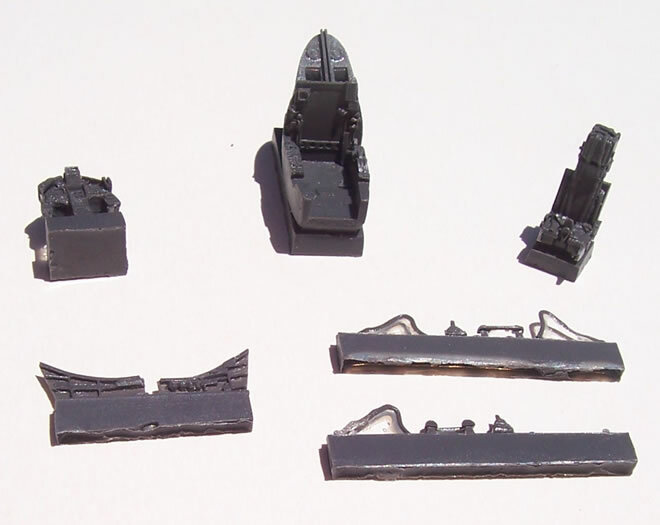 The cockpit set (C 72096) is well executed and the instruction diagrams are quite adequate to guide assembly. 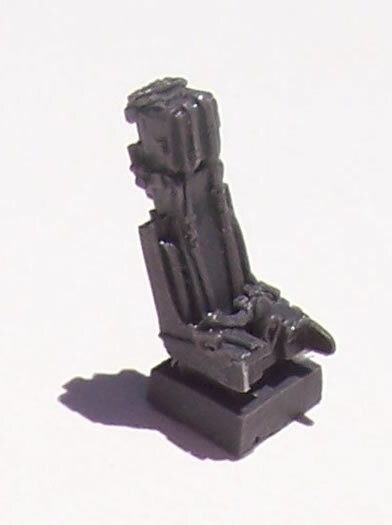 Generic colour call-outs for detail painting are also provided, which is very handy, especially for painting the seats. The seat is nicely done in my opinion, and the rest of the detail will lift the appearance of the Airfix kit enormously. 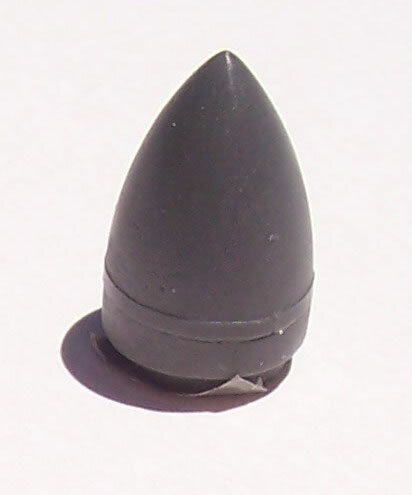 Obviously the nose cone (U 72-122) is a straightforward replacement for the kit parts with some subtle differences in shape a little more surface detail. 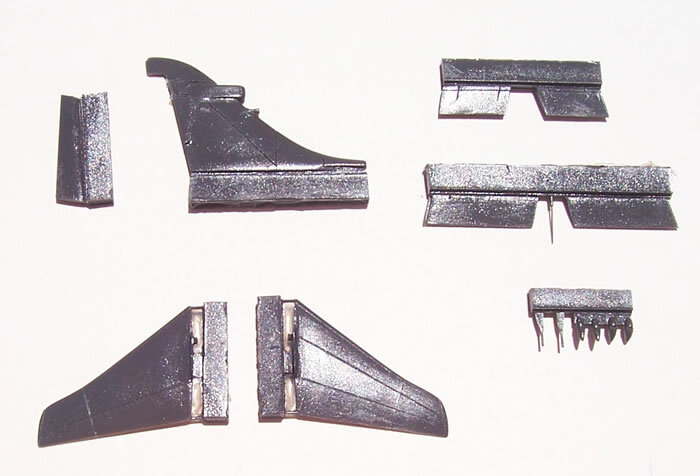 The control surfaces pack (U 72-123) is finely done and will require the builder to remove the kit parts in the case of the flaps, ailerons and fin. 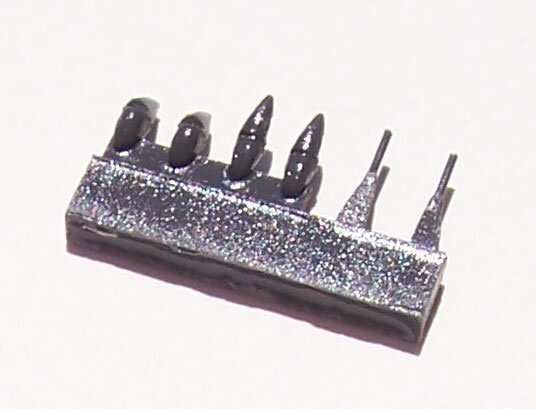 The small flap actuator blisters will also need to be removed and replaced by the resin ones, a choice of raised or drooped pairs being provided. The set has no instructions, but I doubt any are needed. The inclusion of the horizontal stabilisers seems likely to address an accuracy issue, as I note Pavla sets for other brand Sea Harrier kits have not included these flying surfaces. 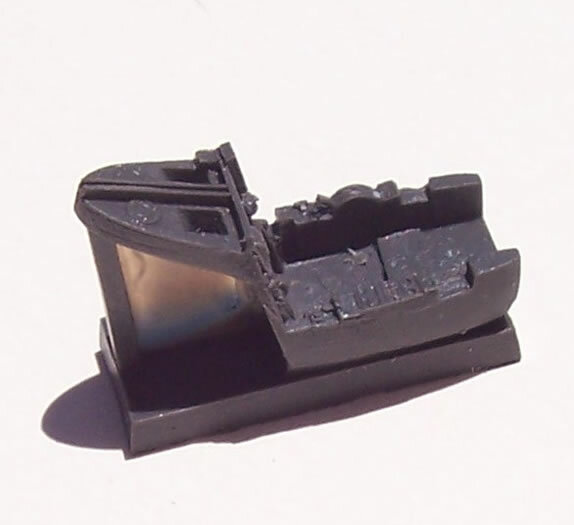 The detail benefits of a nice resin cockpit are clear, as is having ready made deployable control surfaces compared to removing the kit items and then having to build up their leading edges etc. Regrettably I did not have the Airfix FA.2 kit to hand at the time of writing to really gauge the impact the nose and horizontal stabilisers would have in terms shape differences to the kit parts. But I feel fairly safe assuming that the control surface set will improve on the kit in a sensible way given my past familiarity with Pavla sets.